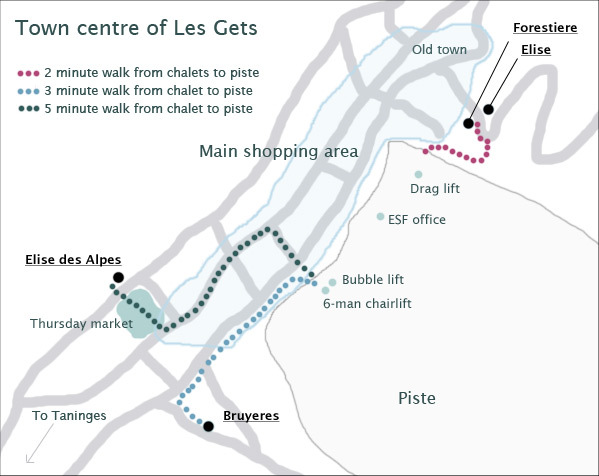 Chalet Elise is situated in the heart of the old town of Les Gets, just a couple of minutes’ walk from the shops, restaurants, cafes and mountain lifts. 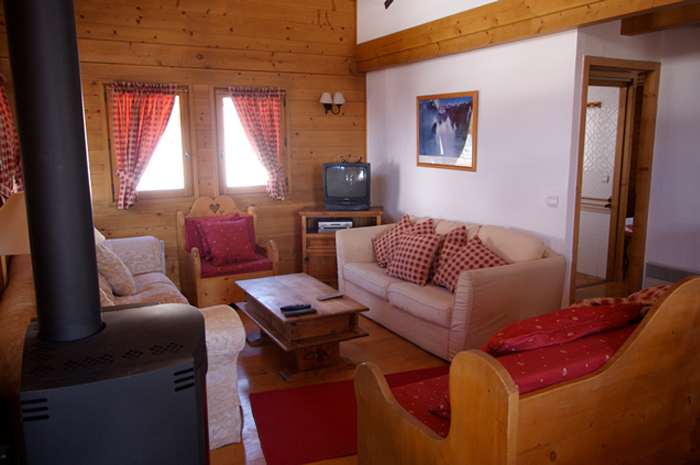 The chalet has been tastefully and stylishly decorated throughout. 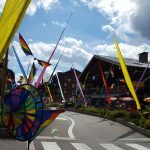 Bedrooms are individually furnished and the open plan living/dining area with high windows and 2nd floor gallery definitely gives this chalet the wow factor. 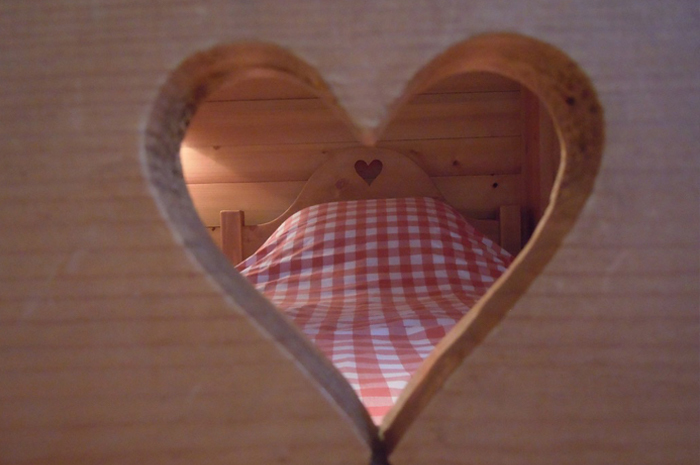 Chalet Elise can sleep up to 13 people in 5 bedrooms, each with an en-suite bath or shower. The open-plan living space on the first floor has plenty of comfortable seating, a large dining area and a spacious kitchen. Sleeps 13 in 5 ensuite bedrooms. Sky TV, Nintendo Wii, DVDs and Wifi internet. 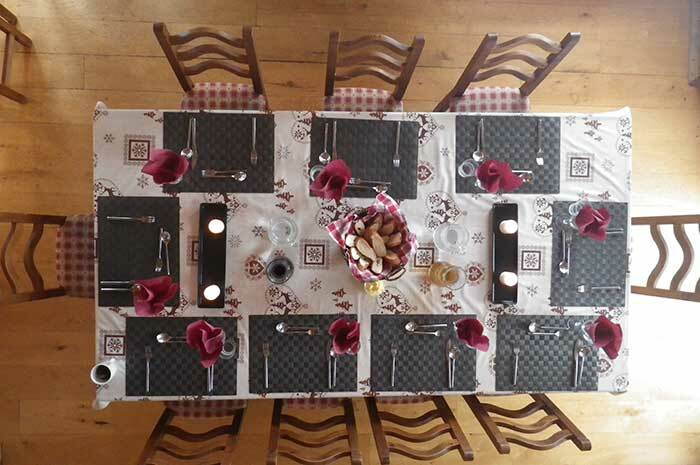 The open-plan living space on the first floor has plenty of comfortable seating, a large dining area and a spacious kitchen where your chalet host will whip up delightfully indulgent meals! 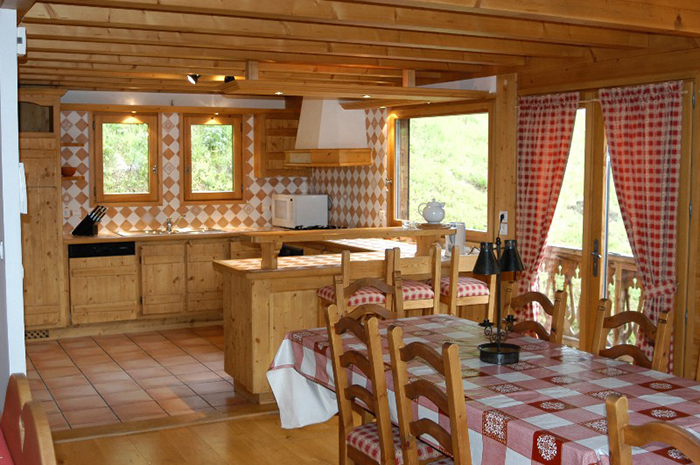 Chalet Elise can sleep up to 13 people in 5 bedrooms, each with an en-suite bath or shower. 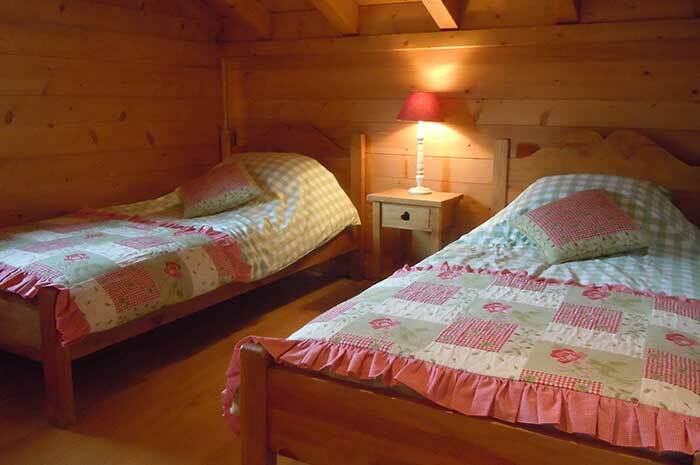 Room 1: One double bed and one set of bunks (sleeps 4). Ensuite with shower. 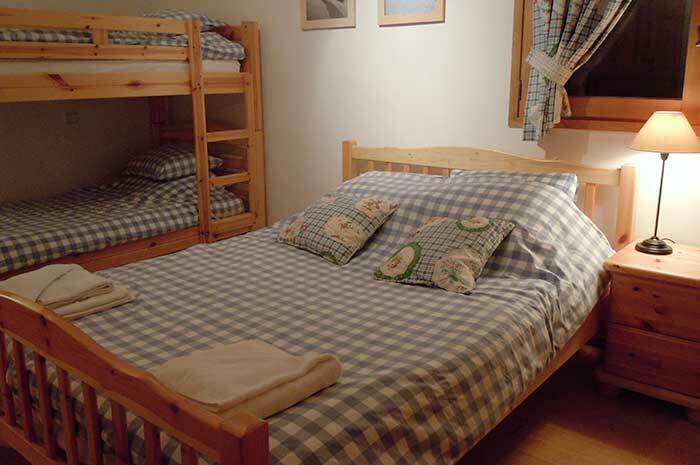 Room 2: One single bed and one set of bunks (sleeps 3). Ensuite with shower. 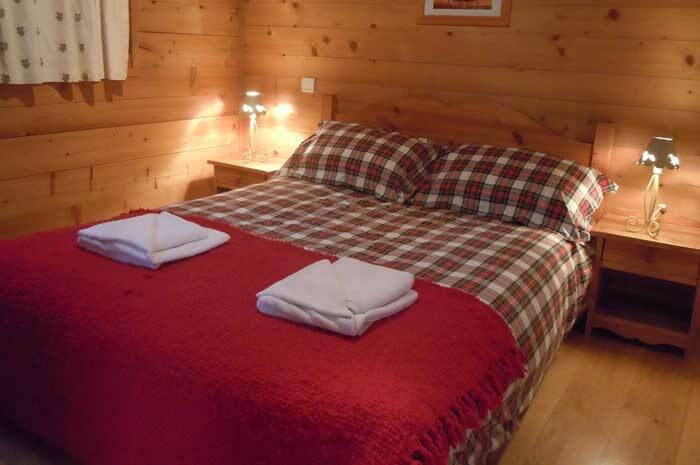 Room 3: Double bed (sleeps 2). Ensuite with bath. 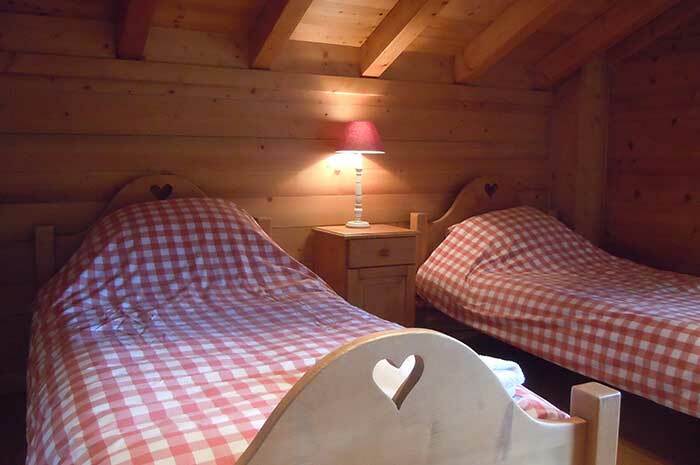 Room 4: Twin (sleeps 2). Ensuite with shower. Room 5: Twin (sleeps 2). Ensuite with bath. 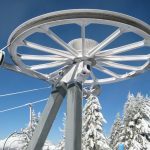 Breakfast, afternoon tea and a 3-course evening meal with wine. 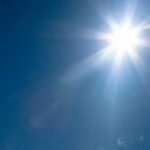 All bed linen and towels are provided and all rooms are cleaned daily.